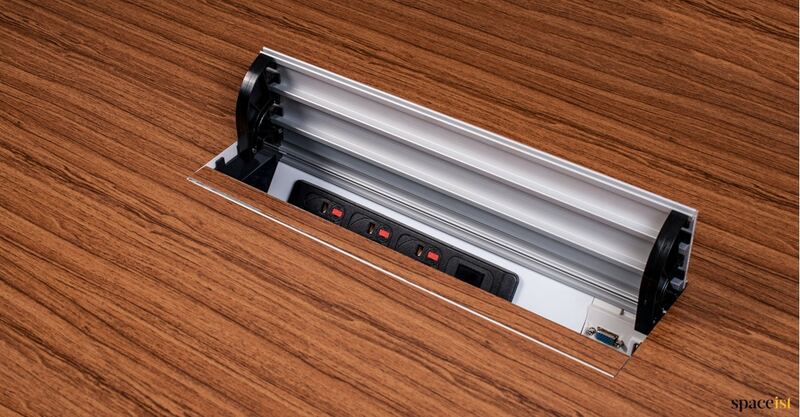 The Axxess Plus flush socket unit with walnut veneer inlay to match the desk top colour. 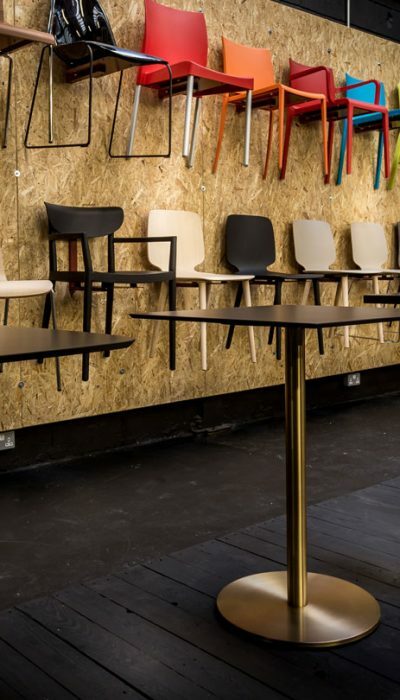 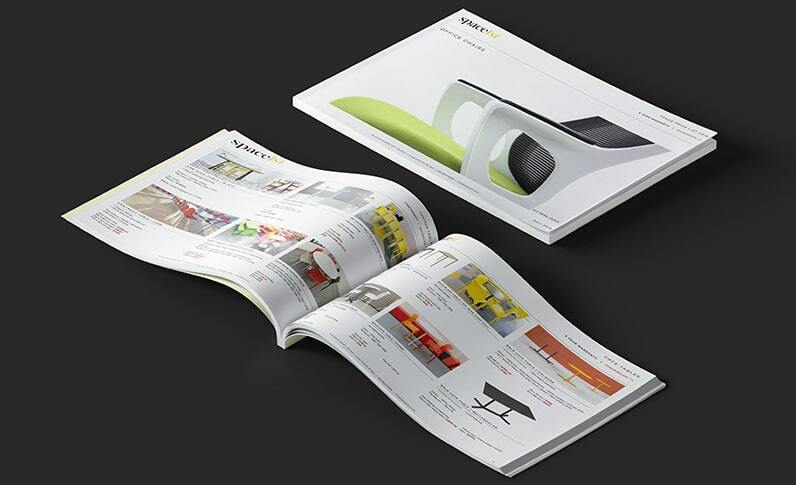 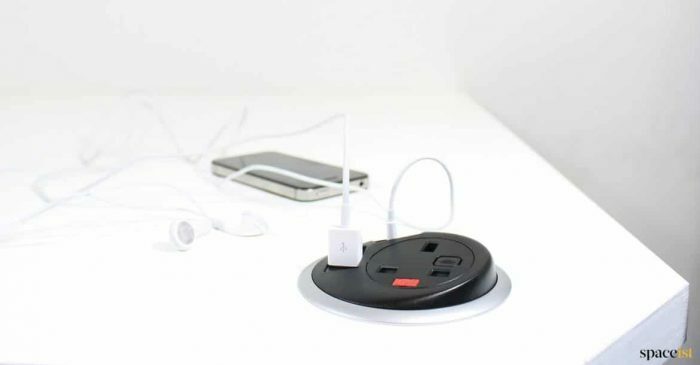 Most suited on executive desks and meeting tables. 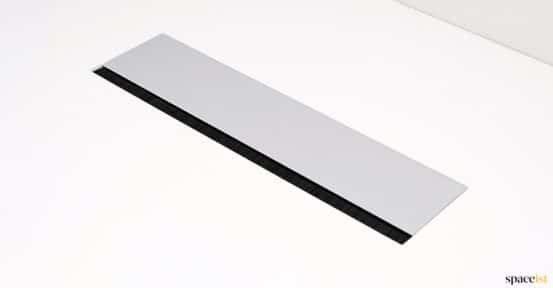 Natural anodised aluminium is the standard colour. 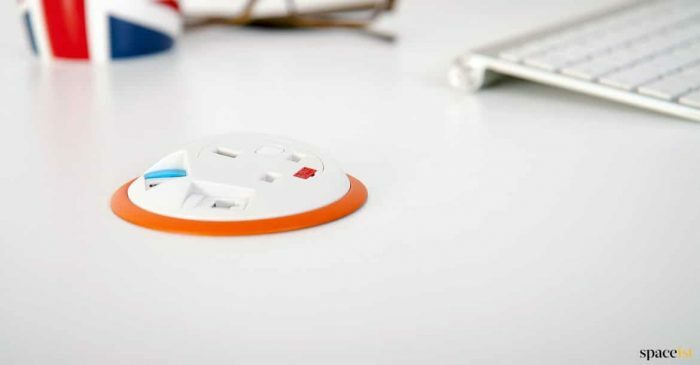 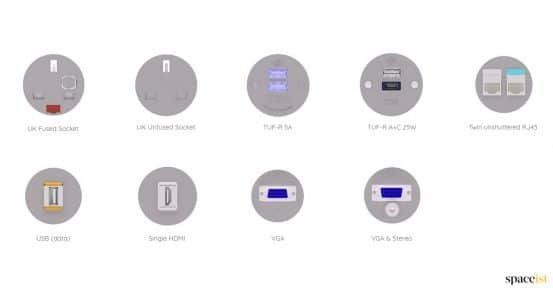 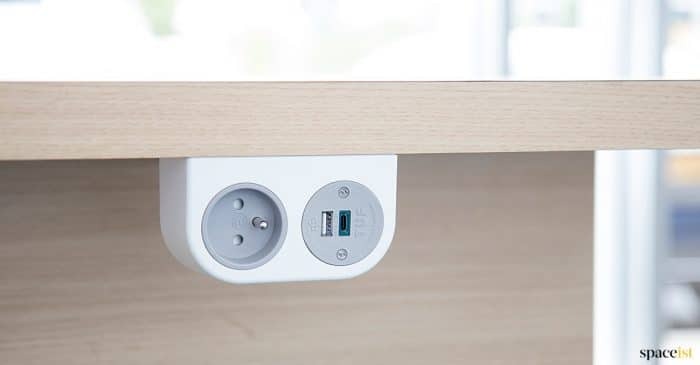 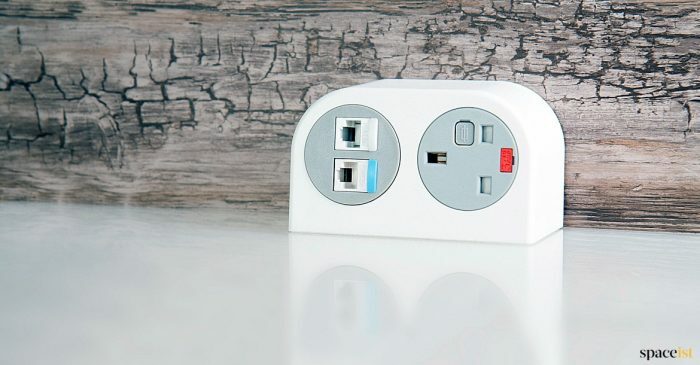 Choose your socket options from UK plug, USB charger, USB data, Ethernet RJ45, HDMI, VGA or VGA stereo. 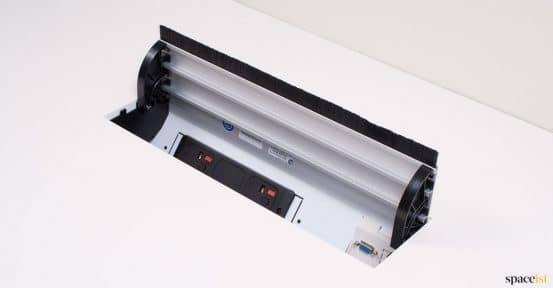 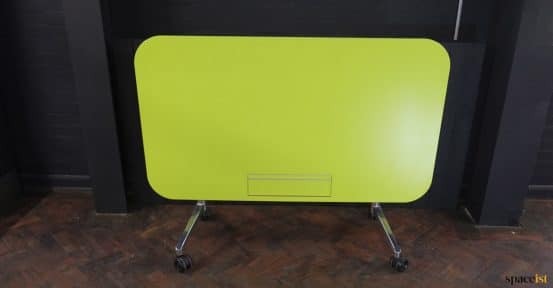 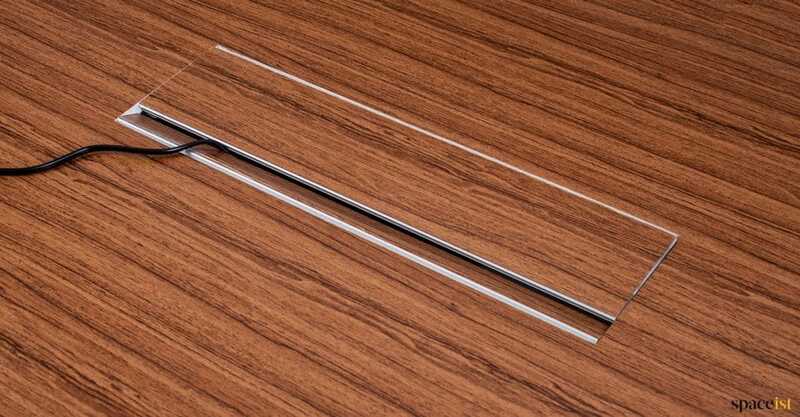 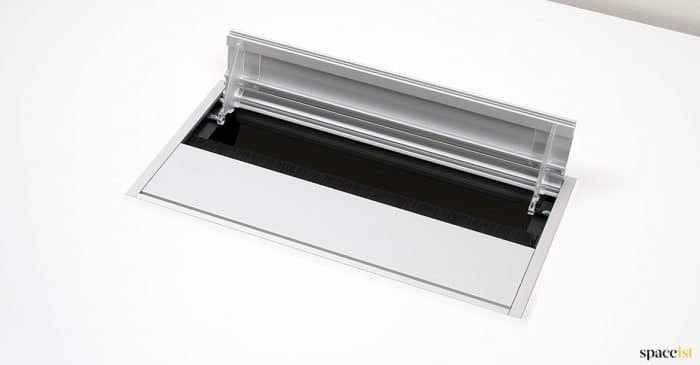 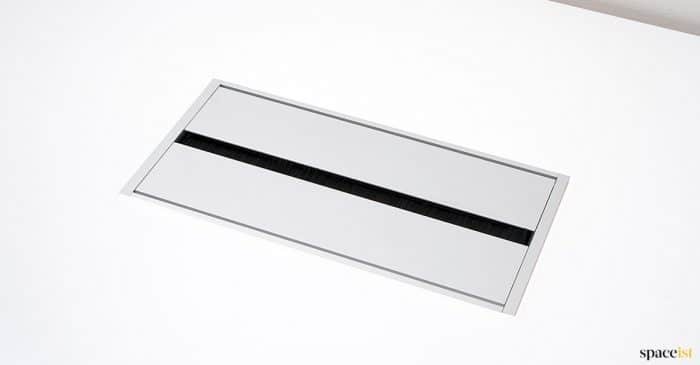 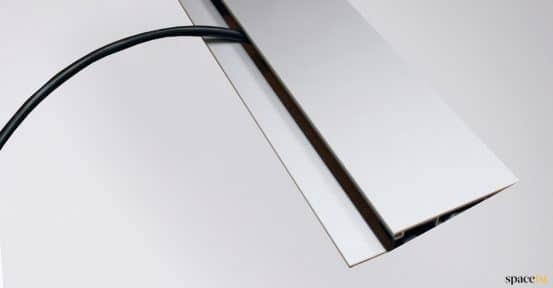 Fits most of our desk and meeting room ranges with a top thickness of 20-34mm.